It was an wonderful book just because it had a dog ! Yes , I love being biased ! But quite truthfully , it was a delightful book that was more like a relatable shared joke between two dog lovers . 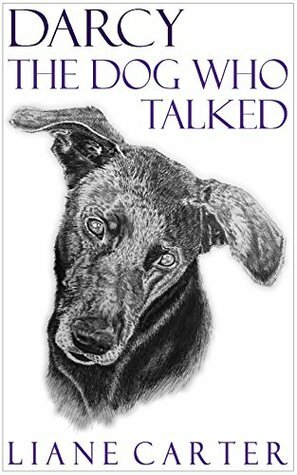 The story starts with Liane going to pick a dog from the shelter and coming with Darcy , a dog that is just too much to handle . It proceeds further with the situations Darcy creates for Liane and her husband , Lee . It was light and fun with a lot of relatable moments . Personally speaking , I felt more emotional reading this which might have affected perception of the book . The book kept reminding me of my own pup , who died 4 years ago . He was such a nice dog and I missed him , reading this . Better yet ? Darcy could talk…more humanely than you’d think . And I loved the fact that Liane and Lee took good care of the dog . I love dog lovers ! It might not matter to many other readers but to me , it was a minor inconvenience . It made for a nice short read everyday after school , when I came home stressed about exams , so I’d say it’s a good book for anyone looking for sweet books . Yeah ! To those who love dogs and to those who would like to understand why dog-people are crazy! Darcy will melt your heart. Source : Review Copy . Blog Tour Host : Laura from IbookTours . Thanks for hosting , Laura ! And thanks , Liane!